To justify paying that much for a credit card, you want to know how to maximize the American Express Platinum card benefits. The Platinum card offers quite a few perks to cardholders, and it’s easy to find value in this card, especially if you’re a frequent traveler. 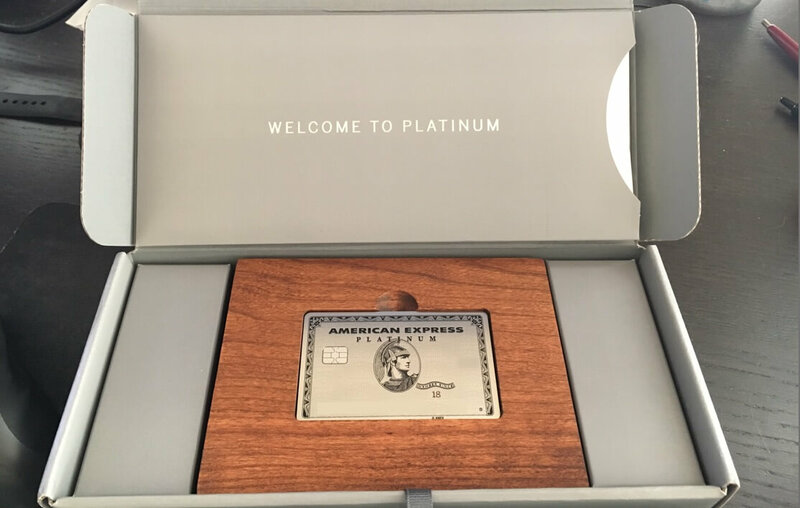 Let’s review the Amex Platinum benefits and how you can maximize your return on investment. Before we get into the finer points of the Platinum card’s perks, let’s briefly review the biggest benefits of being a cardholder. First and foremost, this card comes with a big and valuable sign-up bonus. You’ll get 60,000 points in the flexible Membership Rewards program after spending $5,000 in the first three months. Depending on how you use those points, they’re worth anywhere from $600 in airfare through Amex Travel to over $1,000 if you transfer to a partner airline. The business version of the Platinum card offers an even bigger sign-up bonus, though it’s only good for big spenders. You’ll get 50,000 points after spending $10,000 within three months and another 50,000 points if you spend an additional $15,000 in the same time period. That’s an incredible 100,000-point bonus if you can spend $25,000 in three months. That’s a lot in American Express travel rewards. You’ll get $1,000 in travel purchased through Membership Rewards and close to $2,000 if you’re smart with your airline partner transfers. The personal and business versions of the Platinum cards are very similar, though there are a couple of notable differences. First off, the Business Platinum costs $100 less a year at $450. What you lose is the $200 Uber credit (more on this credit later). You do gain a couple of potentially valuable perks, though, depending on your spending and traveling habits. With the Business Platinum you’ll get 50 percent more points for big purchases over $5,000. And if you use one airline a lot, you’ll get some value by getting 35 percent of your points back on flights redeemed from one carrier of your choice. You can also get that 35 percent discount when you redeem for business or first class on any airline. So what exactly do you get with the American Express travel Rewards program? The main thing you get is flexibility when it comes to redeeming your points. You can transfer your points to 16 different partner airlines and three hotel partners, which gives you a huge number of options for maximizing the value of your points. You can easily get more than a cent per point, often getting close to two cents per point. Among Amex’s transfer partners are Delta, JetBlue and Hawaiian for domestic travel, and British Airways, Etihad Airways, Virgin Atlantic and Flying Blue for international travel. Of course there are many more. The other valuable option is to redeem directly for travel purchased through the Amex Travel center. The big advantage here is that you can book about 100 different airlines without blackout dates or other restrictions. Unfortunately, you’ll pay for the convenience because you’ll get a fixed rate of one cent per point. That’s not bad, but it’s also not great considering how much more you could get by transferring. While the Platinum cards don’t offer the best bonus earning categories for purchases, you can earn a lot if you buy a lot of travel. You’ll get five points per dollar spent on flights booked directly from airlines and for all travel purchased through amextravel.com. All other purchases earn one point per dollar. The Platinum card offers a $200 airline fee credit every calendar year, which means that you can use it twice in a 12-month period if you sign up for the card mid-year. To use the Amex Platinum airline credit, you must select an airline once every January. Any time you use your Amex Platinum card to pay for checked bags, in-flight meals or taxes on award tickets, the credit will apply to your bill. It is even possible to use the Amex Platinum airline credit to buy airline gift cards. My carrier of choice is Delta Air Lines, and I’ve been successful in redeeming the credit by purchasing gift cards directly from Delta.com in the past. I’ve selected a small gift card amount, $50 each, and have been able to use the $200 credit in full for the past two years. Another one of the card’s benefits is the $200 annual Uber credit. Every month, you’ll receive a $15 Amex Uber credit ($35 in December) to use toward Uber rides. For the credit to apply, simply link your eligible card to your Uber account. You don’t even have to set the Amex Platinum as a primary payment method—the credit will apply as long as it’s linked. The downside is that the credit can be used toward rides taken in the United States only. It doesn’t work on international rides. Don’t ride Uber? That’s OK. The monthly credits don’t roll over, and if you’re unable to redeem them in full for any reason, feel free to order food delivery with Uber Eats. The credit applies the same way and can be used toward the cost of food. Everybody has got to eat! Of all the premium travel rewards credit cards available on the market right now, the Platinum card from Amex includes the most extensive network of airport lounges: the Global Lounge Collection. With this credit card, you can access Amex’s swanky Centurion Lounges, which are among the best in the industry. Why should you be excited about Centurion lounges? Because they offer fresh fare developed by local chefs; signature cocktails, premium spirits and curated wines; workspaces; Wi-Fi; and much more. Some locations even feature spa services, shower suites and a family room. There are locations in Dallas, Houston, Las Vegas, New York (LGA), Philadelphia, Miami, Seattle, San Francisco and Hong Kong, with new lounges opening soon in Denver and JFK in New York. If you frequently use one of these airports, it’s worth getting a card that’ll give you access. Also part of the American Express Global Lounge Collection are the International American Express Lounges, Delta Sky Clubs (with a same-day Delta boarding pass) and Priority Pass lounges. There are over 1,000 Priority Pass lounges around the world, so there’s likely to be a lounge you can access wherever you’re traveling. With the exception of Delta Sky Clubs, you can bring two companions to each of these lounges at no additional cost. Buying food at an airport terminal adds up, and lounge access can save a lot of money when you travel with a companion or family members, not to mention the free Wi-Fi and a quiet place to work. Amex Platinum benefits include a $100 TSA PreCheck or a Global Entry enrollment application credit every four years. Although both the TSA PreCheck and Global Entry last five years, you can gift your credit to someone or just wait for one more year to re-enroll. The American Express Global Entry credit can save you tons of time by skipping the security line. Global Entry is a trusted-traveler program that offers expedited customs processing to pre-approved passengers arriving in the U.S. Global Entry includes TSA PreCheck, which offers expedited security when traveling in the U.S. If you travel abroad often, then Global Entry is your best bet because it wont cost you extra with the Amex credit. The only downside is that the application takes longer due to scheduling the Global Entry interview. Amex Platinum benefits include hotel perks when booking Fine Hotels and Resorts through the Amex Travel portal. You can get free room upgrades upon arrival (when available), complimentary daily breakfast for two, early check-in, late checkout, free Wi-Fi and resort credits. In some cases, you’re able to book three nights for the price of two or four nights for the price of three. That’s a great discount. Another hotel benefit of holding the Platinum card from Amex is complimentary Gold elite status with Hilton Honors and Starwood Preferred Guest. As we all know, SPG and Marriott are in the process of merging, and you’re able to status match your SPG Gold to Marriott Gold. Unfortunately, effective August 1, Gold status will be downgraded when the new joint loyalty program of the two chains launches. At this point, it’s not clear whether Amex Platinum members will retain Gold status and experience loss of benefits or be upgraded to Platinum elite status. As an American Express cardholder, you receive complimentary ShopRunner membership. ShopRunner offers members free two-day shipping at more than 100 stores, including Eddie Bauer, Newegg, NFL Shop, Staples and Tommy Hilfiger, among many others. Simply use your enrolled American Express card at checkout and enjoy free shipping from your favorite stores. Need dinner reservations, theater tickets or trip recommendations? Call the American Express concierge at 1-800-525-3355 for assistance. The service itself costs nothing, and you can stay on top of your travel or dining plans with the help of the concierge staff. This is a great, if often underutilized, American Express Platinum card benefit. As the website says, no request is too small. It’s fitting that the Amex Platinum benefits include no foreign transaction fees. It really rounds out the suite of perks that makes these cards excellent for travel. Many cards will charge you an extra 3 percent for every foreign transaction, which can end up costing you a bundle when traveling abroad. The Platinum card will not. So charge away. Amex Platinum benefits include complimentary elite status with a variety of car rental companies, giving cardholders free upgrades, discounts and other privileges which vary by company. Hertz, Avis and National participate in the program. You’ll also get free car rental loss and damage insurance when you pay for the entire rental with your card. It’s secondary, so the added Amex insurance will kick in after your personal car insurance coverage is exhausted. This American Express Platinum card benefit can save you hundreds of dollars if you typically purchase rental insurance. Unlike most cards, the Platinum card’s roadside assistance is complimentary for up to four times a year. That means you can use this service and not pay anything extra, which can save you the annual AAA membership fee! Complimentary services include towing up to 10 miles, winching, jump starts, flat tire changes, lockout services and delivery of up to two gallons of fuel. Other services are available, but the cardholder is responsible for those costs. You may be wondering why you’d pay $550 for the Amex Platinum card when the Premier Rewards Gold card from American Express is just $195. On first glance, you might think the Gold card is a better deal. While it earns just triple points on airfare booked directly with airlines (Platinum earns 5x), the Gold Rewards card also earns double points at U.S. restaurants, U.S. gas stations and U.S. supermarkets, something you don’t get with the Platinum. The Gold card offers a $100 airline fee credit (instead of $200) and a 25,000-point sign-up bonus (instead of 50,000). At the end of the day, it is up to you whether having free access to airport lounges, a bigger sign-up bonus, a $200 Uber credit, elite status with hotels and car rental companies, and other American Express travel rewards is worth paying a premium fee every year. The choice largely depends on how often you travel and whether you can maximize the Amex Platinum benefits. If you’re even considering shelling out $550 for a card, you’re probably pretty serious about traveling. But if you consider how much value you can get out of the Amex Platinum benefits, you probably won’t even think of the annual fee as much of an investment. Consider this. If you use both the $200 airline fee credit and the $200 Uber credit every year, which shouldn’t be hard if you travel just a couple times annually, then that brings the membership fee down to just $150. Add to that the complimentary lounge access, free hotel privileges, premium roadside assistance, elite status perks with rental car companies and more, and this card easily pays for itself. You just have to use it.